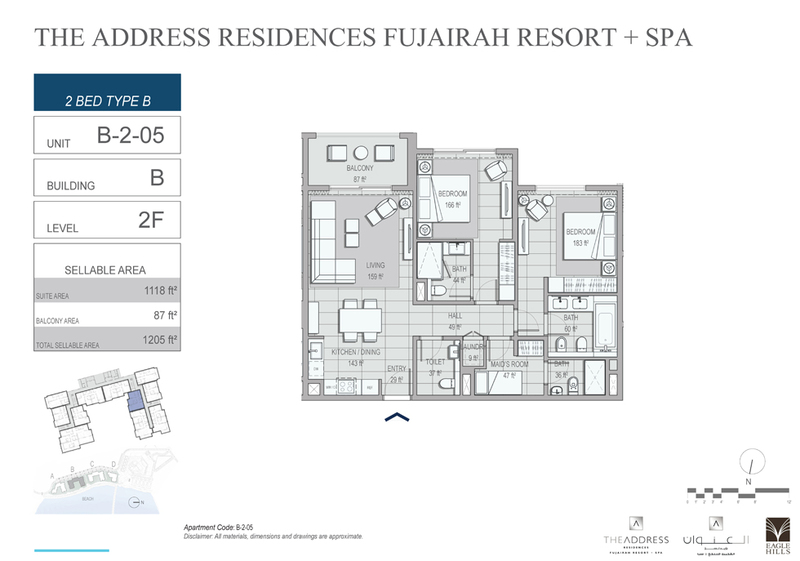 Purchase a 2 bedroom apartment in The Address Residences Fujairah Resort + Spa and benefit from a flexible payment plan of up to 28 months after handover. A luxury complex unlike anywhere in Fujairah, the resort features 196 rooms as well as four residential buildings with a total of over 172 serviced residences. Discover a spa, fitness club, restaurants, lounges, a dive centre and a kids’ play area.